Like/Follow us on Facebook or Twitter! 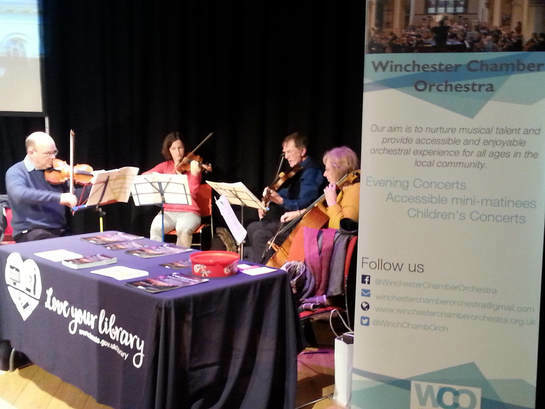 We shall be providing musical accompaniment and manning a stall at Winchester Discovery Centre on Saturday 25th November and Monday 27th November. Do come and say hello! And pick up a leaflet about our next concerts while you are there.